500px is bringing a fresh look to Android, a new feature to mobile and the Web, and launching an Apple TV app. 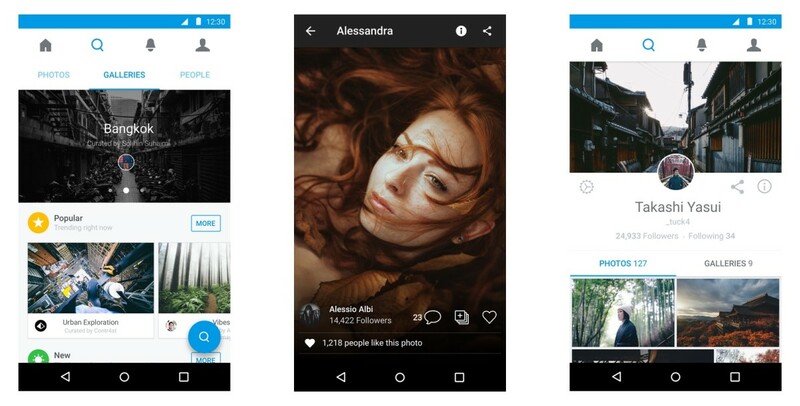 On Android, 500px users will find a “brighter and more simplified” experience, which has a heavy dose of Material Design. New photo recommendations, added in the update, help users find awesome imagery and photographers. Across mobile and the Web, users will find a new feature called Galleries, which lets you curate content based on your personal style and taste. 500px says users can gather similar publicly available images together, and make their collections discoverable to the community at large. Those curated galleries will also find their way to the new 500px Apple TV app, where you can select from 17 galleries and view the images as a slideshow. The Apple TV app and updates for iOS, Android and the Web are all rolling out now.